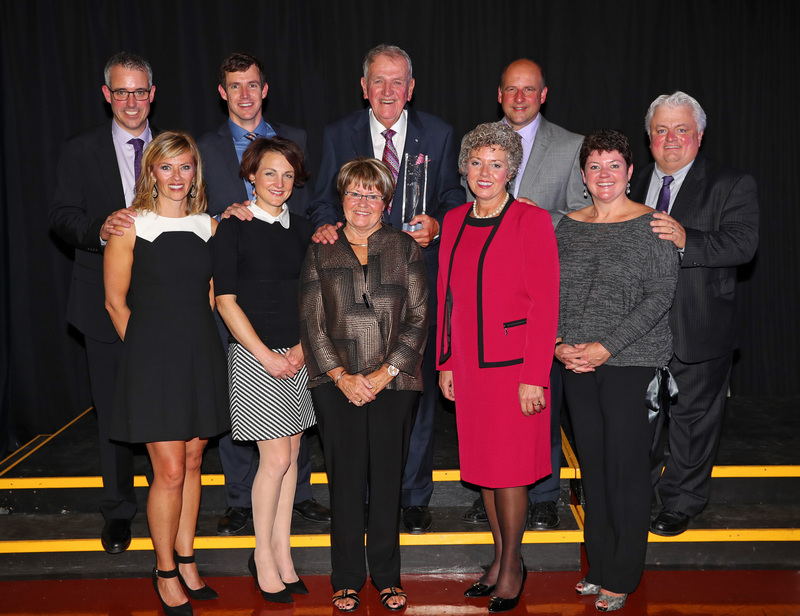 The Centre for Family Business and Regional Prosperity was delighted to have Jack and Marion Flemming, and their children Karen, Colleen, John and Scott as our honoured guests for our 2016 Family Legacy Series Gala Dinner. Jack founded Ocean Contractors in 1974, and what began modestly as a small asphalt paving operation in Dartmouth, Nova Scotia, has grown into the Ocean Family of Companies with 6 operating businesses focused on construction, transportation and logistics. The Flemmings recognize the importance of a safe and strong community and have created the Flemming Charitable Foundation to provide relief, through donations, for children, women, men and families who are in need. They also dedicate time and resources to a variety of amazing local charities including Phoenix Youth Programs, IWK Foundation, Feed Nova Scotia, Bonny Lea Farm, and the Children’s Wish Foundation. In 2016 the family completed their succession from first to second generation, with sons John and Scott now at the helm of the operating companies, and daughters Karen and Colleen overseeing the family’s charitable foundation.